125 West 55th Street, 5th Fl. Radio is the number one reach medium. Get the full story. Key points that buyers and sellers want to know about Radio. 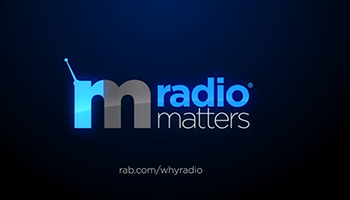 See the Radio Matters Sizzle Video from RAB. Managers | AE's | Digital Sales - Thousands of them read our newsletter daily! Radio is the number 1 reach medium. Get the full story. See the latest Advertisier Sizzle Video from RAB. Subscribe testto our newsletter and stay up to date with the latest news and deals!